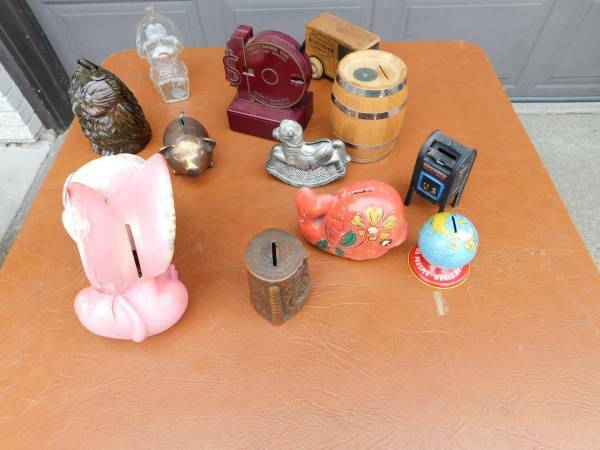 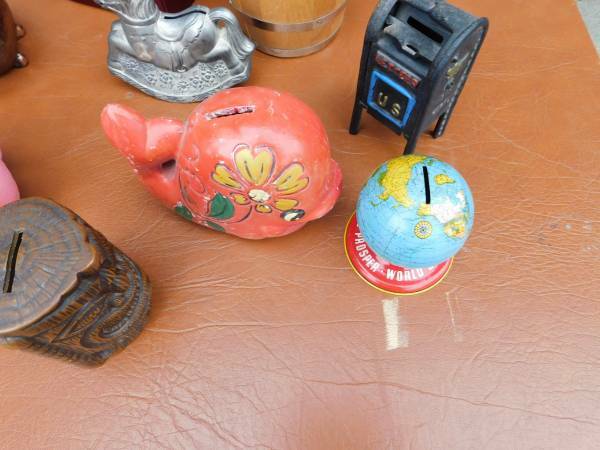 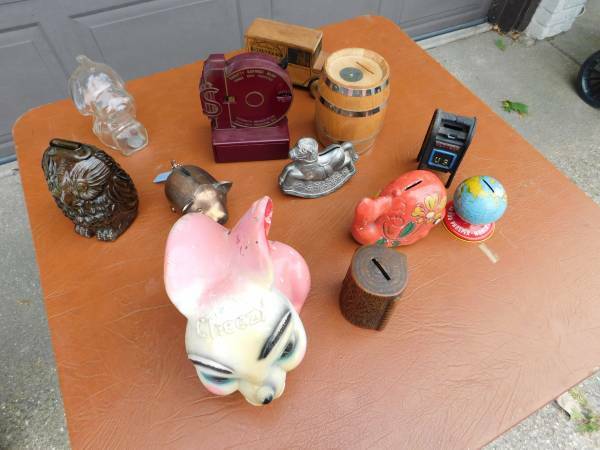 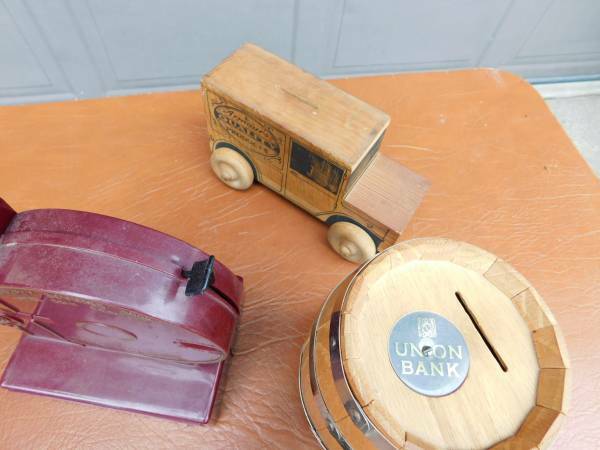 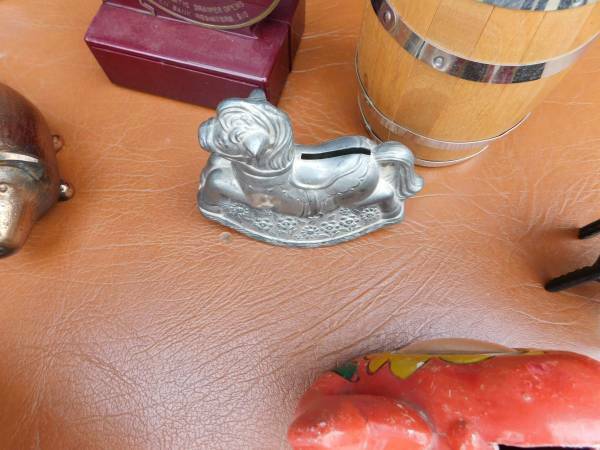 I am selling this odd collect of old coin banks. 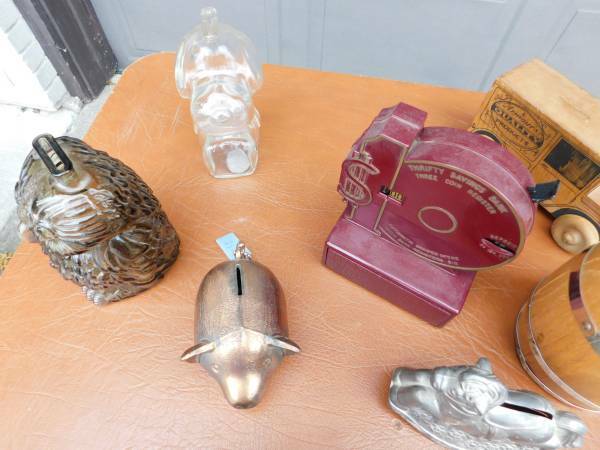 They range from pottery to plastic. 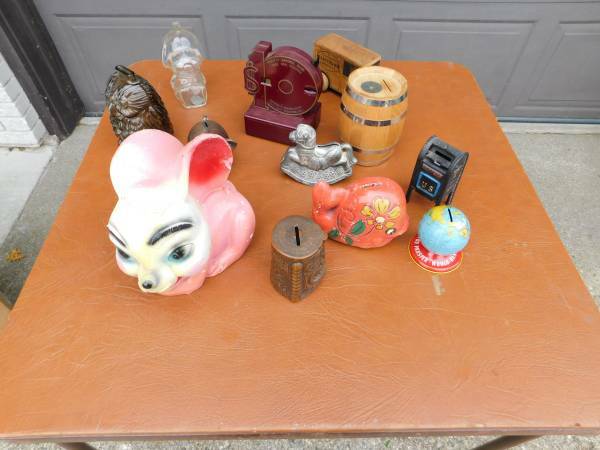 odd stuff.